A separate launch video is also now live which you can see below. I think it’s brilliant. I think it will encourage more mums to really get out there and not worry about venues and locations or where you’re at because Blackburn with Darwen is doing this. I think it’s really important for mums like me. Our goal in becoming a breastfeeding friendly borough is to emphasise that any mums that wish to breastfeed in Blackburn with Darwen are welcome to do so without worrying what other people might say. 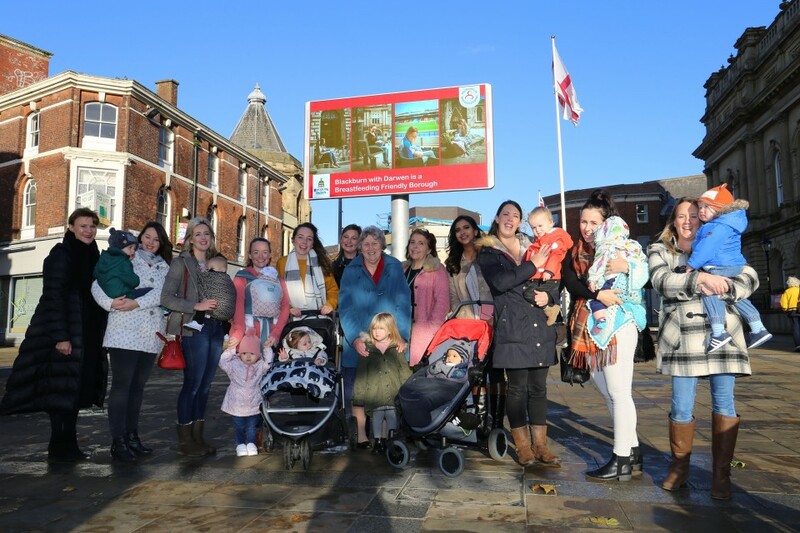 This isn’t about saying all new mums should breastfeed but that mums and babies come first and we want them to feel supported when out and about across the borough. I’m proud that, as a borough, we are making a strong stand on this fundamentally important issue and enabling breastfeeding mums to let their babies be ‘well-fed’ right from the beginning of their lives. Breastfeeding provides natural immunity for babies from infections and illnesses, as well as providing certain health benefits for mums. My message to residents in the borough is to be fully supportive of this initiative and of breastfeeding mums and families. Breastfeeding rates in Blackburn with Darwen have never been higher, with most new mothers breastfeeding their babies in the days and weeks after birth. We fully support a high profile campaign such as #BreastFeedingFriendlyBwD which lets everyone know that the borough is 100 per cent behind breastfeeding.